Multicraft Imports-Photo Mounts: Clear, Double Sided. 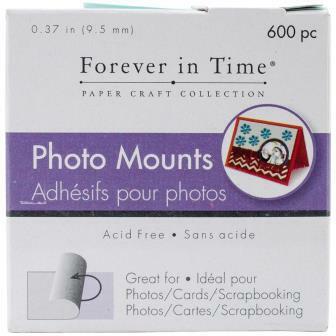 Great for photos, cards and scrapbooking! This package contains 600 3/8x3/8 inch photo mounts.